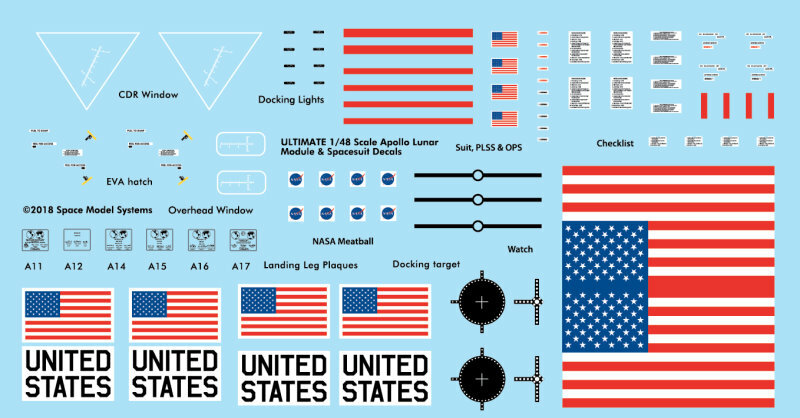 Complete set of markings for the 1:48 scale Lunar Module kits, revised in 2018 with additional markings. Includes flags, US markings, landing leg plaques, hatch labels, and more. Comes with silkscreened Commander's forward and overhead windows on clear acetate. Fully illustrated placement guide. The new decals include flag decal and astronaut suit markings.